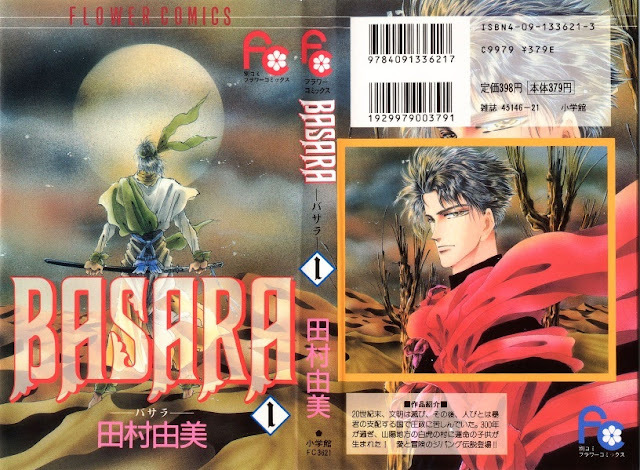 I haven't done any manga reviews here yet, and wanted to kick off with one of my old favorites, Basara. This is by the same author, Yumi Tamura, of 7 Seeds (review coming! ), which if you haven't read yet you NEED to start. Unlike 7 Seeds though, Basara is complete, meaning you won't have the anxious waiting period between chapters. 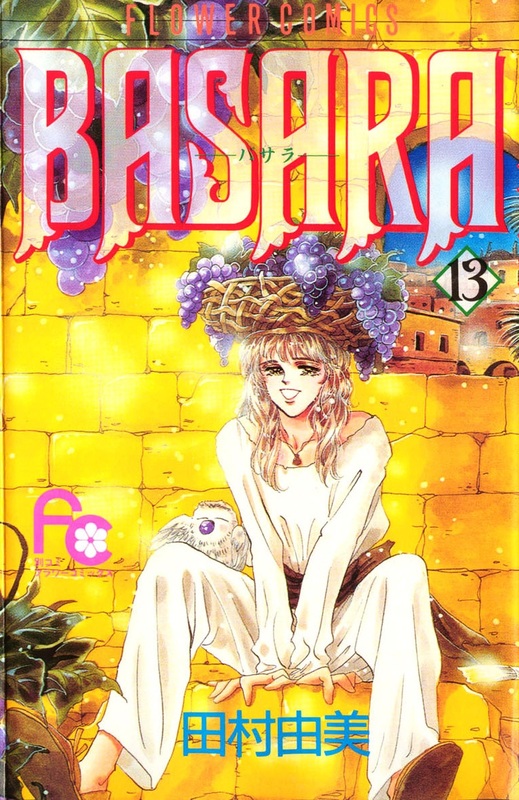 While I prefer 7 Seeds, I still think this is one of the top mangas I've ever read, especially if you're looking for an intelligent, incredibly competent female lead and a story with heart-thumpingly great stakes. Basara is technically a post-apocalyptic story, but it's really more like a feudal-era tale, since the world has pretty much reverted to a non-technology place with horses, swords, etc. The heroine is a girl named Sarasa who ends up having to take over her brother's role as the leader of a revolution against the corrupt family ruling the country. Her archenemy is one of the sons in this family, the Red King, or Shuri, who ends up also being her romantic interest. Neither of them know the true identity of the other, which naturally results in a glorious conflict. The story chronicles the path of her revolution across the nation, through each King's ruling region. Tamura's specialty is in writing action, and especially in creating nail-biting situations that make you wonder "just how are they going to get out of this??!!" This is also a story that's not afraid to go dark, and that's what made it so compelling and fascinating. I normally prefer plain old romantic shoujos, but never fear because she also knows how to build great romance into the action. But, I have to admit I wound up much preferring the action to the romance here, because it got a bit drawn out and cheesy. If anything, that was my one qualm with the story, because it devoted too much of the characters into the romantic connection and in "hiding" the big secret for much of its run. Additionally, when the big reveal finally occurred, it felt excessively melodramatic and anticlimactic. I grew increasingly frustrated with Sarasa's continued wallowing and Shuri's overall personality. Actually, even well before that their relationship had started to feel stale and too "fated." I wound up shipping her with the Blue King, who's a gloriously messed up pretty boy. Unfortunately, Tamura doesn't seem to waver from her fixated pairings (which I also take issue with in 7 Seeds), so of course neither of them met anyone they had even the remotest interest in over the course of the manga. Which for me takes away half the fun - there's a reason why alternaships and second leads exist. I did love how developed the world was, and how appealing all the side characters were. My favorite was Ageha, though his character arc ended quite unsatisfyingly (especially since I didn't give a crap for that spoiled princess). However, everyone managed to grow on me, which is a rare achievement. The art is far from the most impressive I've seen, but the author does improve and I think her style works perfectly to convey the rough intensity and scope of the story. It's not cutesy, but it's well-thought out and full of depth. Her full-scope scenery images also more than make up for any superficial concerns. Overall, I give this manga my highest regard, and I guarantee you'll be hooked after Vol 1. If you're in the mood for a sweeping, full-bodied story, this will more than suffice.